HEALTHY FOOD GUIDE - The magazine for people who want to eat healthily AND enjoy great food. KiCK! 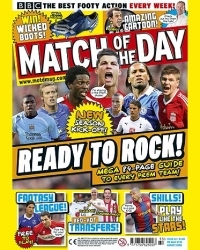 is great for 6 to 12-year-old boys and girls who love football and want to know more about their favourite stars. 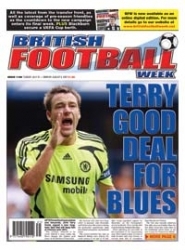 BRITISH FOOTBALL WEEK is first when it comes to the most comprehensive and up-to-date coverage of the Premier League, Football League and Scotland, including results, match reports and reactions from the big games. 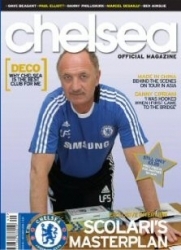 The Official magazine of Chelsea Football Club giving in depth interviews and unparalleled access to unseen areas of the club. 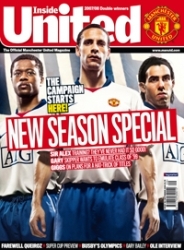 Inside United the official Manchester United magazine! Written by fans for The Fans, United magazine will get you closer to the players and staff, with exclusives, special guests, and access into every area of the club. 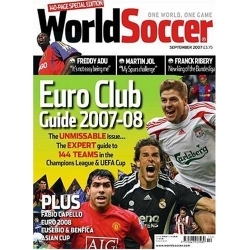 World Soccer has long been feted by players, coaches and fans alike as the undisputed authority on international football. Exhaustive coverage from every corner of the globe keeps you abreast of all the essential results, transfers and issues; plus interviews with the great players and coaches and features on the clubs, characters and stories of the moment. 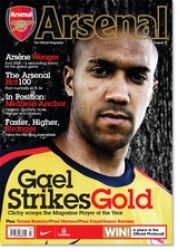 Even though they call themselves the 'half decent football mag', When Saturday Comes offer something the others don't, which is a perspective on the game from the everyday fan's point of view. 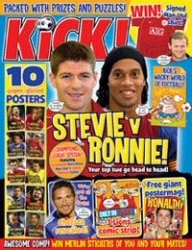 It is the voice of the football fans and its tone reveals both a humorous and serious side to the game. Get the official Manchester United matchday programme delivered directly to your door - on matchday! Celebrate victories with more issues the further your team progresses in cup competitions. 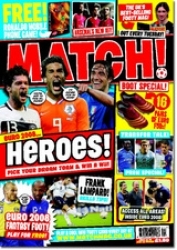 It's packed with player/star interviews, match results from the weekend and hot football gossip, plus exciting posters, quizzes and competitions. MATCH gives you all the latest news, results and reports on YOUR favourite team. 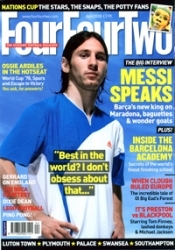 Glossy, stylish and provocative, FourFourTwo is the definitive football magazine for the mature reader. Feature articles and superb action photography will keep you gripped for more than just the first half. Big name interview with the stars, from today, tomorrow and yesteryear. You'll need extra time to finish it! 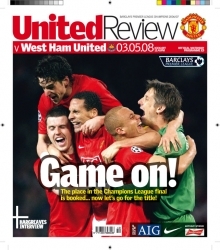 Champions is the official magazine of the UEFA Champions League, accompanying each stage of the competition. 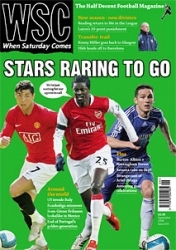 Champions includes exclusive interviews and features inside every issue.